MoonProject – What’s so special about Raphael’s Portrait of Baldassare Castiglione? You are here: Home » Art » What’s so special about Raphael’s Portrait of Baldassare Castiglione? 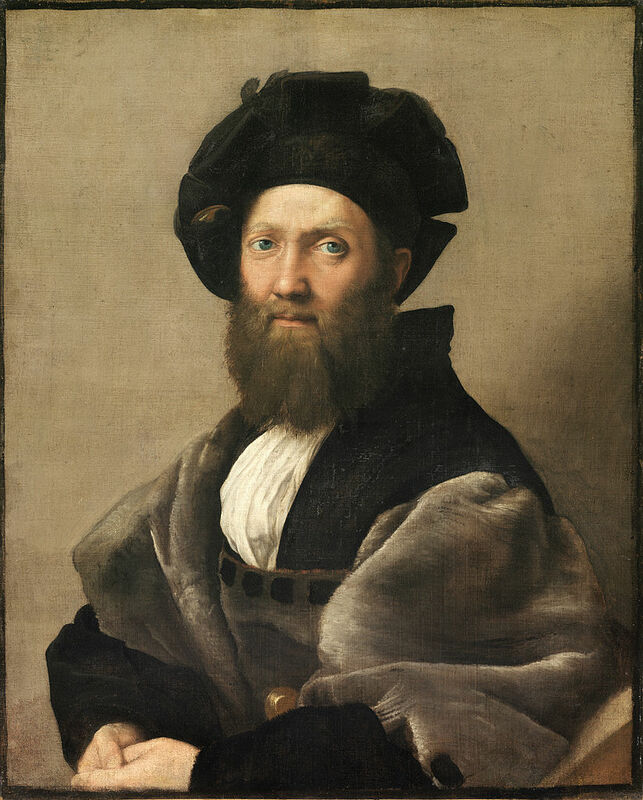 What’s so special about Raphael’s Portrait of Baldassare Castiglione? My comments were flippant – and deep and frightfully clever – but I maintain that something in my claim rings true; and for laypeople, disconnected from the fascinations of biblical history or court intrigue, this can make lengthier trips to the gallery more than a little tedious. Many of these works are dull at first and seem to offer little hope of any future enjoyment. Even assuming we come to appreciate their technical mastery we may still wonder how long brush strokes can hold our interest. But people – and very well educated people at that – have gone on about these artists and their works for centuries; and if we are to believe that all of that reading and all of those hours spent in museums, were of any value, then perhaps it’s time listen to what they have to say. In this spirit I picked up a copy of Françoise Barbe-Gall’s How to Look at a Painting; and right there, smack-dab in the middle of the first page, was Raphael’s Baldassare Castiglione – a Renaissance portrait of (you guessed it) an old rich guy. Perfect, I thought, let’s get to the bottom of this. Alright, Mr. Barbe-Gall, let’s hear it: what exactly is so special here? As it happens, quite a bit. Raphael tells us something important about the man he depicts without any recourse to symbolism or obscurity; the message is in the man himself. The effect is subtle but powerful, and one of the many reasons the work is considered a masterpiece. With this one insight Mr. Barbe-Gall shows us something really rather profound about the work and how it is we ought to approach realistic art in general. Though it may appear to be a lifelike rendering of some Mediterranean toff, choice and discretion for the artist remain. And in art those choices can mean everything.